Is the American Cocker Spaniel right for you? Find your perfect match now! As the name suggests, American Cocker Spaniels (affectionately referred to as “Cockers”) were born and bred in the USA. 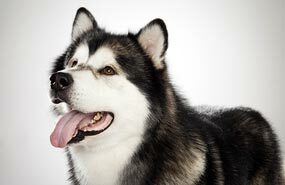 They were even the country's most popular dog breed from 1936-1952 and again from 1983-1990. In fact, former Presidents Truman and Nixon and the reigning empress of American media (Oprah) have all shared their lives with this cherished breed. These are happy, playful, and enduring dogs, well-disposed toward and more than capable of keeping up with active families with children. Equally good in warm and cool climates American Cocker Spaniels make for decent jogging partners and affectionate companions. Originally bred as birders (especially low-flying woodcocks, which is how they got their name), this medium-sized and moderate-energy breed can grow to between 24-28 pounds and live 12-15 years. American Cocker Spaniels' favorite pastimes are friendliness. 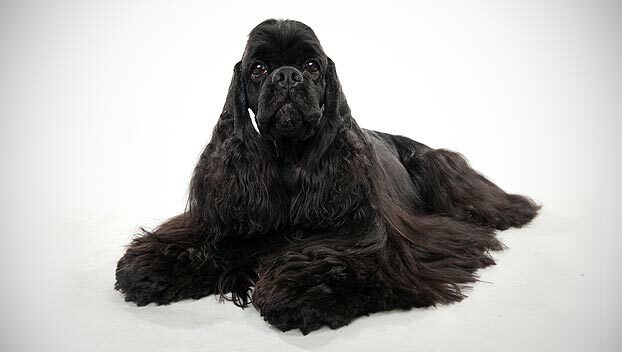 The breed is recognized by the American Kennel Club, sort of — in 1946, the AKC split the recognized breed into Cocker Spaniel and English Cocker Spaniel; everywhere else in the world, they're American Cocker Spaniels and Cocker Spaniels. It's classified as a member of the Sporting breed group. WHAT IS AN AMERICAN COCKER SPANIEL'S PERSONALITY LIKE? These are bright, very playful, energetic, and very affectionate dogs. You'll make your American Cocker Spaniel's day every time you walk in the door. WHAT IS AMERICAN COCKER SPANIEL BEHAVIOR LIKE? The American Cocker Spaniel is not much of a lapdog, despite its small stature, but this dog is best friends with everyone it meets. They're often great with other dogs, pets, and small animals, and delighted to meet strangers. This breed makes for an ideal family dog: they're wonderful with children and enjoy fetching, swimming, and general horsing (dogging?) around. Though infinitely well-intentioned watchdogs, they're not very capable of protecting you or your home. These jaunty dogs need daily walks, short runs, or rowdy games to marshal their energy. Many also enjoy trips to the dog park. When they get enough exercise, American Cocker Spaniels make for relatively calm housemates — though they can be prone to barking. HOW EASY IS IT TO TRAIN AN AMERICAN COCKER SPANIEL? American Cocker Spaniel's are fairly easy to train, but obedience exercises will also help keep their minds engaged. They're pre-disposed to being submissive, and prone to submissive urination. Their exuberance can sometimes overwhelm their manners, but they're fast learners and want nothing more than to please you (and maybe to earn a food treat). 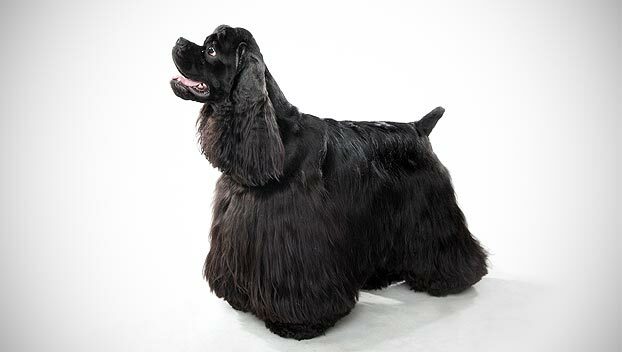 HOW MUCH DO AMERICAN COCKER SPANIELS SHED AND WHAT ARE THEIR GROOMING NEEDS? 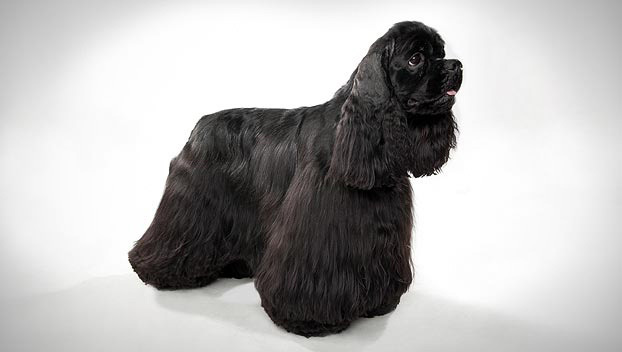 American Cocker Spaniels' long coats can be flat or wavy and are silky when properly groomed. These moderate seasonal shedders need consistent brushing (2-3x a week) and monthly grooming to keep their shining locks glossy and unmatted. Be sure to keep stray hairs out of their eyes and to keep their eyes clean. WHAT HEALTH PROBLEMS DO AMERICAN COCKER SPANIELS HAVE? Though generally healthy, this breed can develop eye ailments or hip dysplasia. 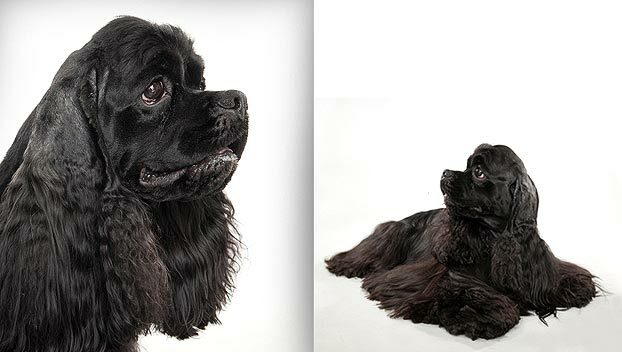 Check their ears regularly and be conscientious of their diets — American Cocker Spaniels tend toward pudginess. ARE AMERICAN COCKER SPANIELS GOOD FOR PEOPLE WITH ALLERGIES? The American Kennel Club doesn't list American Cocker Spaniels among its breeds recommended for folks with allergies. Remember that no breed is 100% hypoallergenic, and any breed can aggravate allergies. You can reduce your furry friend's impact on your allergies with frequent baths and brushings to reduce loose hairs and aggravating proteins in your pet's dander. Use a damp cloth to wipe off your dog after you've been playing outside. Smaller dogs have less surface area, and so produce comparatively less dander than larger breeds — definitely something to keep in mind with a dog as small as an American Cocker Spaniel! WHAT IS AN AMERICAN COCKER SPANIEL'S BEST DAY? Spending it with you, of course! Then jaunting around town to greet every stranger she can while her silky coat blows in the wind. End with a larger-than-she-should-have dinner (she'll try to convince you for seconds and thirds), and family time. SHOULD I ADOPT AN AMERICAN COCKER SPANIEL? If you need a large and imposing dog to work and protect the homestead, or a dog that wants to spend its life indoors, this isn't your dog. In search of a dog who will get along equally well with your other pets? Don't mind maintaining a fancy, silky coat? If you're looking for an upbeat, intelligent, and affable friend who can't get enough of you, your family, and your children, who will romp and play happily and then sit with you on the couch, the American Cocker Spaniel might be your perfect match. 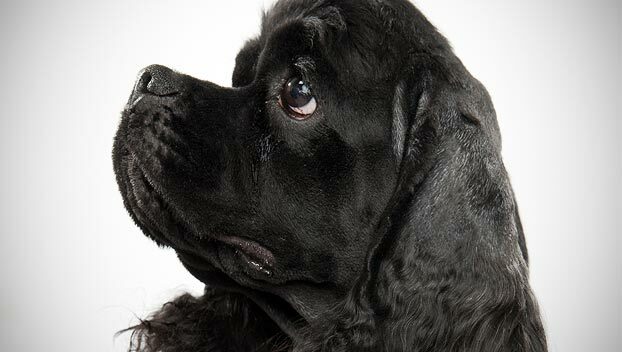 Have you decided that an American Cocker Spaniel is the perfect dog for you? Why not be your new best friend's hero and adopt a rescue! Be sure to check out our article on what to expect when you're adopting a dog or cat.